t*rexes and tiaras: hunter wellies giveaway..
As most of you know, I'm off camping this weekend. This is a camp which I've been on the planning committee for for over a year now; it's quite a large scale event I guess, with over 500 kids booked in. You'd be right to think I'm more than a little nervous. I've spent the past few weeks watching the river level in the town gradually rising, hoping that it won't burst it's banks and flood the site we have booked. So far, so good, despite all of the flash-flooding in the county..
Last minute packer as I am, I've not really thought about what I am going to pack. Except for, of course, the wellies. I really love wellies and have quite a collection. And so when I was asked by Simply Hike, who specialise in camping equipment and Hunter wellies, if I would like to offer a pair up as a giveaway prize, I didn't have to think about it for long. (In fact, I almost said "no thanks, can I keep them for myself?" but I don't think that would have been very well-received). I thought it would be very fitting to run the giveaway whilst I was away at camp! 1. 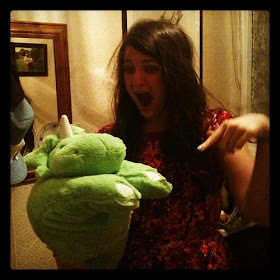 The giveaway is open to all UK followers of my blog, who leave a comment on this post. 2. Your comment must include your shoe size, and a way to contact you if you should win. 3. One extra entry can be gained by tweeting a link to this blog post, and including my twitter handle (@dinoprincesschr) so that I can keep track. The giveaway will run until 10am on Tuesday 31st July 2012. 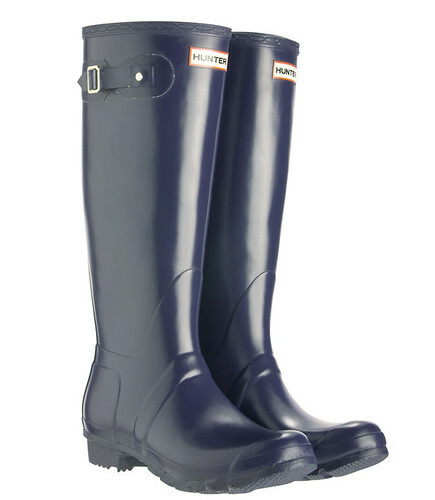 The winner will be picked at random and will receive a pair of Hunter Original Tall Classic Wellies in Navy, in their chosen size, once they have provided their postal address via email. The product cannot be returned for a different size once ordered. The product cannot be exchanged for cash or an alternative product. No purchase necessary. I could really do with some wellies to get me through the *ahem* summer. I'm a size 11 by the way! have fun on your camping weekend! Oooh a new pair of wellies would be awesome, especially Hunters! Hope you are having a great time at camp, I would love to win these for my Mum she takes a size 6 and would love a pair of Hunter wellies. Bugger, in my excitement I forgot to say my shoe size is 6, thanks! I'd love some Hunter Wellies I can pretend I'm the Queen(60 years ago). Size 6 please! Oh, I love Hunter wellies! With all the rain we've had lately they'd definitely be very handy. Wow, fab giveaway! 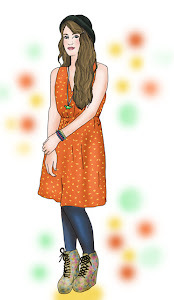 I definitely need some wellies with this lovely Manchester summer :( I'm size 7 and my email's shugalista@gmail.com. bloody brilliant giveaway! I'm a shoe size 5 and a half - or a six!